Sustained winds were down to 35 mph with the storm starting to speed up a little and move to the west at 8 mph. The center was located approximately 20 miles southwest of Columbia, South Carolina, as of 5 a.m. The storm came ashore as Hurricane Florence on Friday morning at about 7 a.m. with wind speeds of 90 mph. 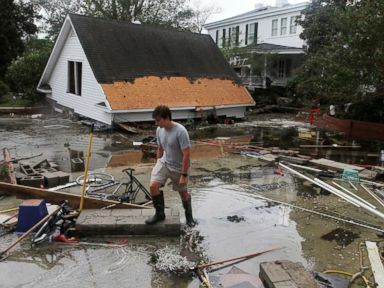 Florence has been blamed for 13 deaths in the Carolinas. Hundreds of water rescues have been carried out by local authorities, the Cajun Navy volunteers and the U.S. Coast Guard since Friday morning. Over 770,000 customers were still without power as of Saturday night. Despite the decrease in wind speeds, heavy rains still a pose a major flooding threat to both North and South Carolina. 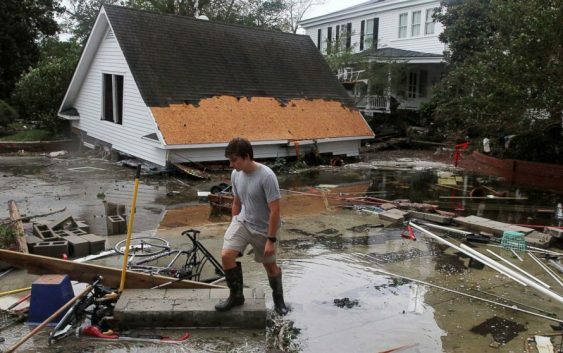 “[Florence] will produce catastrophic flooding over parts of North and South Carolina for some time,” Steve Goldstein, the National Oceanic and Atmospheric Administration’s liaison to FEMA, said Saturday. Florence is now the third storm to set a tropical cyclone state rainfall record in just the last 12 months. Harvey dropped 60.58 inches of rain last year in Texas, setting the state’s new record. Lane just last month dropped a maximum of 52.02 inches of rain in Hawaii, breaking the state record. 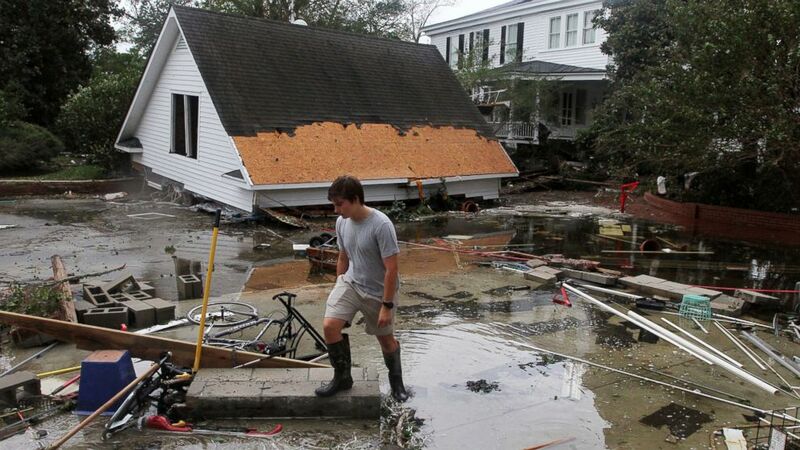 The 30.59 inches that have fallen in Swansboro sets a new record for North Carolina. Heavy rains bands are still coming onshore in eastern South Carolina and North Carolina on Sunday morning. Some of the heavier bands have shifted toward Fayetteville, Charlotte and Raleigh. Life-threatening, catastrophic flash flooding is likely over the southern to central Appalachians from western North Carolina into western Virginia and eastern West Virginia. Torrential rain will cause flash flooding and increase the risk for landslides in the higher terrains. Torrential rain from Florence is currently causing rapid rises in area rivers. Major river flooding is expected on some rivers from southern Virginia to northern South Carolina, including most of North Carolina. The Lumber River, near Lumberton, North Carolina, will rise into major flood stage Sunday morning. It is expected to reach a level very near the record Hurricane Matthew set in 2016. 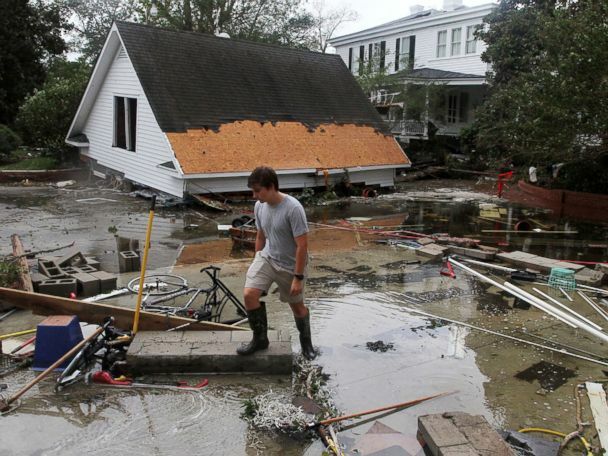 Mandatory evacuations were issued for South Lumberton on Saturday.